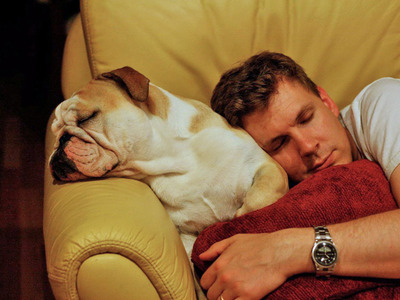 Flickr/Andrew RobertsA man takes a nap on his couch alongside his dog. It has long been thought that the amount of time spent in different stages of sleep was responsible for how well people were able to remember things. done by researchers at the University of California and University of Padua shows that we may have been missing something. The autonomic nervous system (ANS) appears to be a key player in the brain’s ability to perform memory consolidation during sleep. ANS is made of three parts. The sympathetic system is responsible for the body’s “fight or flight” reaction, the parasympathetic system controls the body during rest with functions like heart rate and temperature, and the enteric system controls how your gut works. (rapid eye movement sleep, when most dreams occur) combined with increased parasympathetic activity promote creative associative memory processing. The researchers used heart rate variation during REM to predict memory performance and found that no enhancement of memory while awake meant that the specific effects of ANS were associated with sleep-related consolidation of memory. ANS was found to be an important predictor of associative processing in the brain. 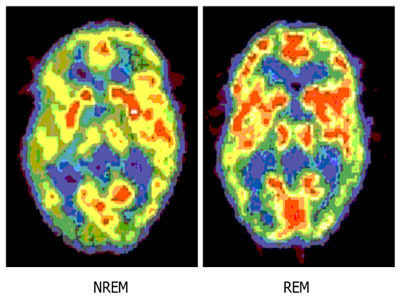 It showed a dissociation between time spent in REM sleep and brain activity, leading researchers to believe that REM may be dose-dependent and that too much of it can disrupt memory performance. ZeologyBrain activity recorded during non-rapid eye movement sleep (NREM) versus rapid-eye movement sleep (REM). Counterintuitively, they actually found that subjects with higher levels of REM sleep had a higher rate of forgetfulness. But REM sleep still proves to be an important factor in memory consolidation and creativity. REM facilitates schema disintegration, meaning that subjects were able to break up associations of words they previously thought of and come up with new combinations. REM was found to allow individuals to make connections between disparate ideas, which is the definition of creativity. This, combined with vagal activity (from stimulation of a cranial nerve) may lead to optimal brain state and enhance plasticity (adaptability of the brain), which was measured by heart rate variation. They also found a constant dialogue between cardiac and central brain structures via vagal stimulation were responsible for cognitive and emotional processing. Increases in overall ANS activity and REM sleep proved to be the two main components of memory consolidation during sleep. As it’s starting to turn out, like most functions of the body, memory is a lot more complicated than anyone originally expected.